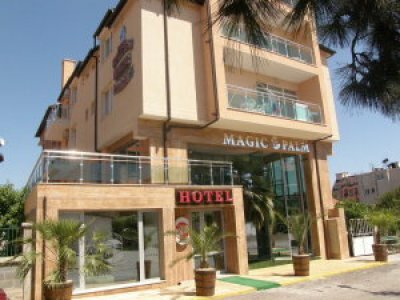 The two-star hotel Magic Palm is situated in the seaside village Ravda, just 150 meters away from the beach. The hotel offers air-conditioned rooms with a balcony and free Wi-Fi access. Naistina sam vazhiten ot obslujvaneto v tozi hotel. Vsichko e novo, ne e skapa, blizo do plaja e. I e tiho, ne e kato v nesebar.